Who is ready for the holidays?? I am SO ready. This being the first year in a new house I finally feel like I can decorate to my hearts content. 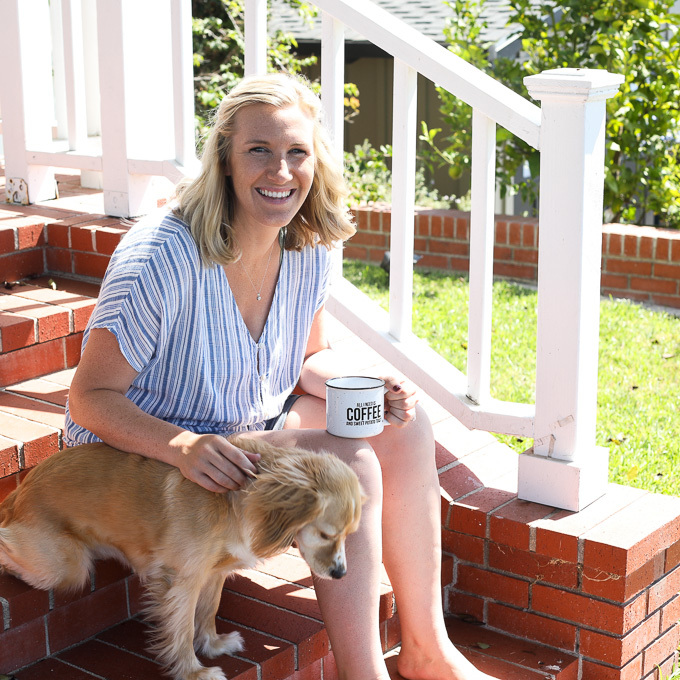 Since we lived in a condo the last few years I never went all out on decorating or hosting because it was further away from family and friends and also very small. So being full on homeowners means all of the dinner parties! We are hosting a Friendsgiving, possibly a thanksgiving and definitely throwing a killer Christmas party. 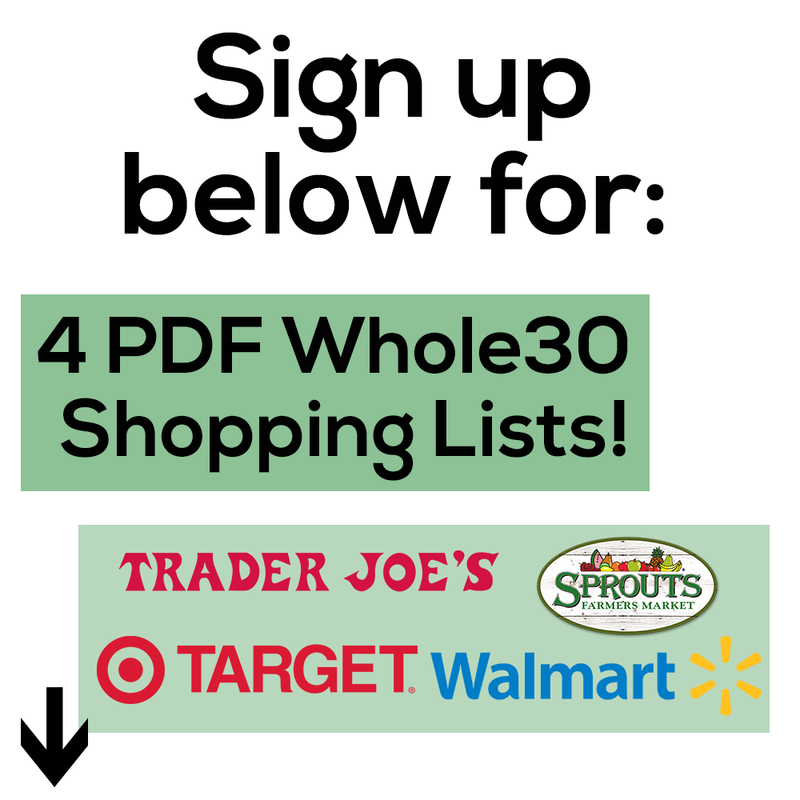 This means a few things – I am going to Hobby Lobby/ Target/ browsing Wayfair constantly, and also trying to nail down my go-to holiday foods. Whenever I find a holiday side dish that I LOVE – I hold onto it. 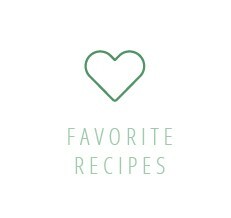 My mom found this green bean recipe in a magazine back when I was in high school and she made it every holiday – so then I started making it in college and beyond! Now I like to contribute sweet potato dishes and they always involve some sugar and of course pecans. 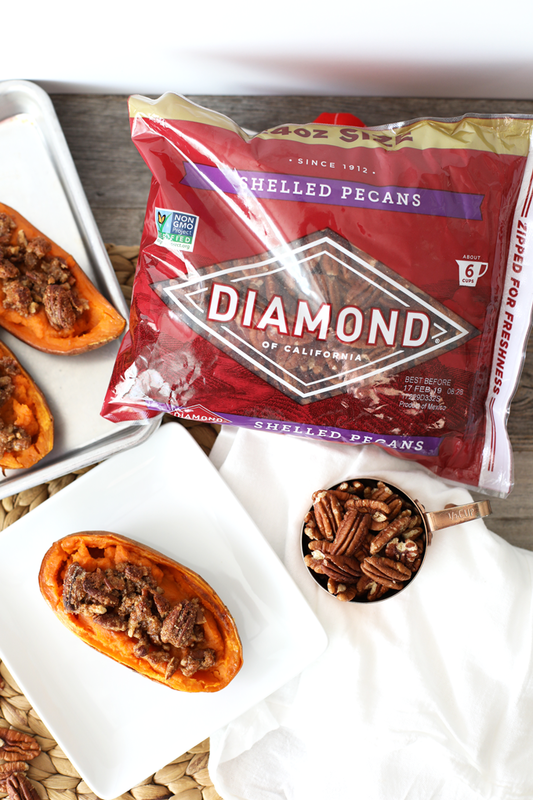 My dad LOVES pecans so they were my go-to add in my whole life – and now that my hubby also loves them, it is a no brainer to keep them stuffed in whatever we can. 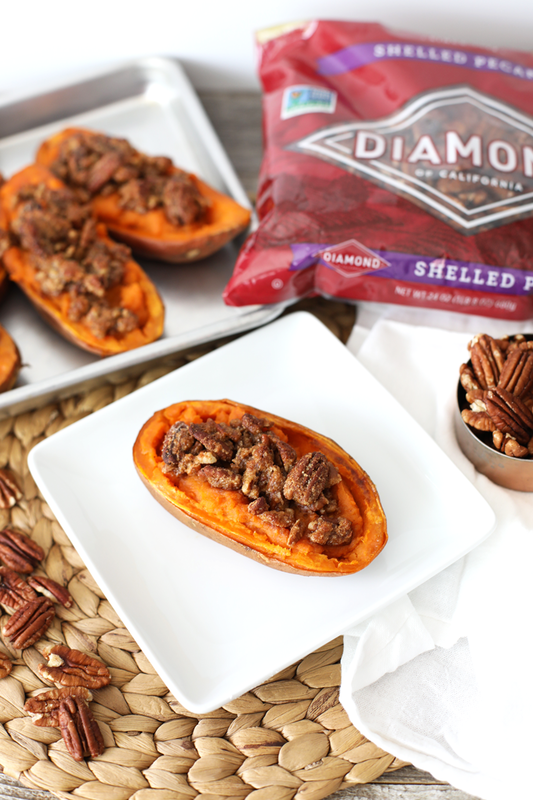 I am so happy to be partnering with Diamond Nuts again on this recipe because they have always been my favorite pecan supplier! And check out their new packaging – beautiful right?! I love getting these big bags of nuts and keeping them in the freezer until it’s time to use them. 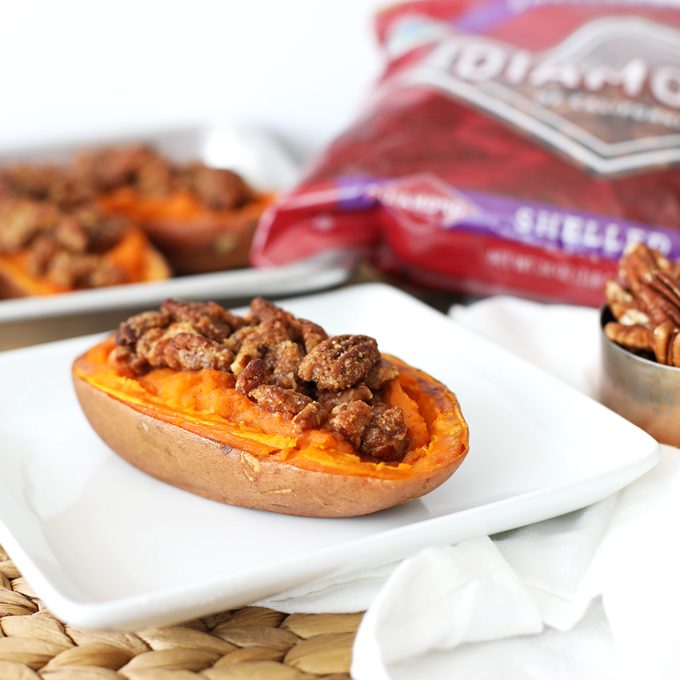 I think pecans go so well with sweet potatoes because they both go well with a little sugar and cinnamon. I have posted my cinnamon sugar candied pecans before as well as cinnamon roasted sweet potatoes and cranberries – so combining all of these flavors was bound to be perfection. Best part about these? Make them earlier in the day and wait to do the final bake until it’s almost party time! Winner winner holiday dinner! This post is sponsored by Diamond Nuts! I was compensated and all opinions are 100% my own. Thank you so much for supporting Little Bits Of! 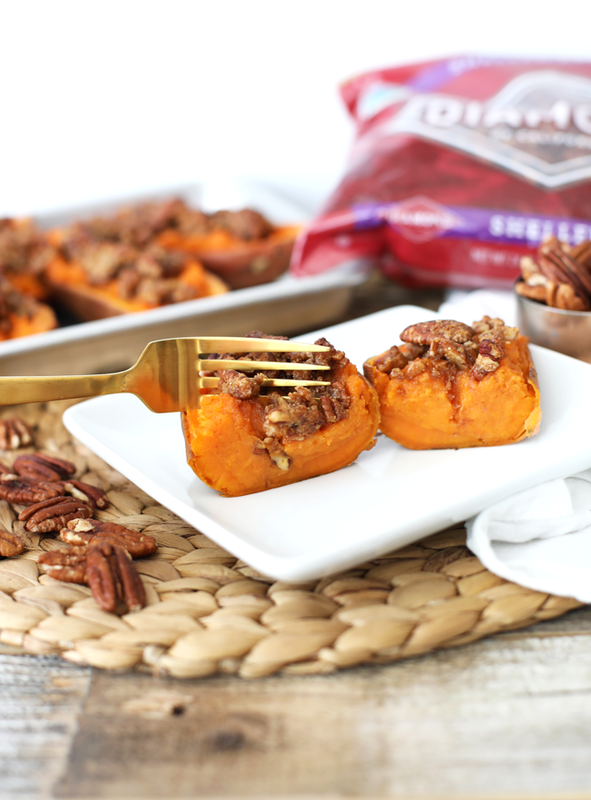 Pin the picture below to save this Maple Pecan Twice Baked Sweet Potato recipe for later! Slice the sweet potatoes in half lengthwise and place on a foil or parchment paper lined baking sheet. 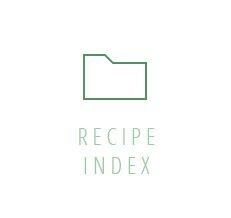 Drizzle 1 tablespoon of oil over the cut open side of the sweet potatoes and lay them cut side down on the baking sheet. Roast for 25-30 minutes or until fork tender. When the sweet potatoes are cooking, prepare the topping. In a medium sized bowl combine chopped pecans, pecan halves, almond flour, coconut sugar, maple syrup, butter or ghee, cinnamon and salt. Set aside. Once sweet potatoes are cooked, let them cool slightly for about 5-10 minutes so you can handle them. Scoop out most of the insides but leave about ⅛ inch of sweet potato in the skin. Place all of the scooped out sweet potato in a large bowl and mash them with a potato masher or fork. Add almond milk, butter or ghee, maple syrup, cinnamon and salt and stir to combine fully. Scoop the mixture back into the sweet potato skins evenly. 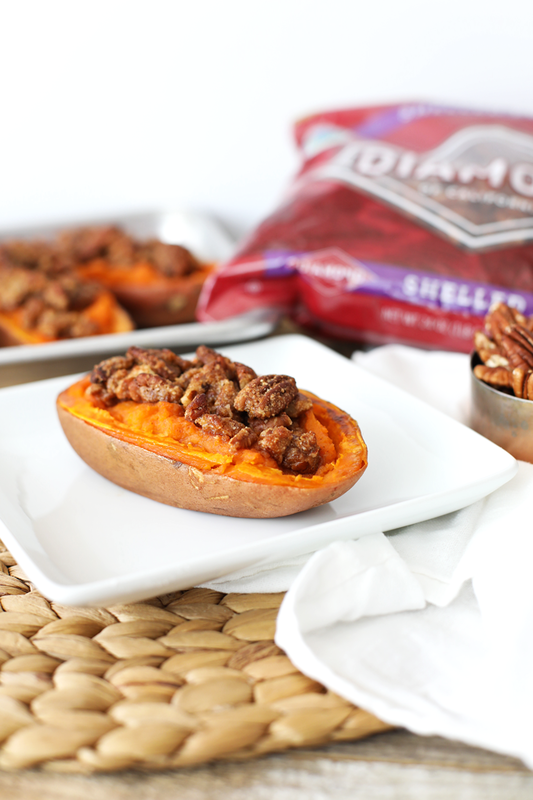 Top each sweet potato half with some of the maple pecan topping and return to the oven for 8 minutes. Removed and enjoy!